If you want to optimise operations, you need to follow the guidance of operations people, says Lance Zikalala, MD at nCoded Solutions. 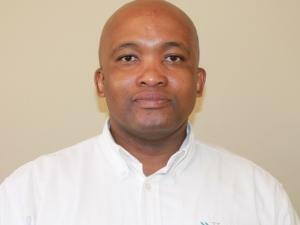 Lance Zikalala, managing director, nCoded Solutions. The concept of industry 4.0 manufacturing is growing more popular every day. In this world, companies should be deploying digital automation and advanced technologies to enjoy vast efficiencies and incredible flexibility, reaping the rewards of satisfying demanding customers. Yet, the reality is not nearly so eloquent. Take as an example the APS, or advanced planning and scheduling system. This technology solution enables high-level forecasting in manufacturing, enabling companies to be flexible without relying on overstock. Yet, most APS implementations fail and many manufacturers are not even capable of introducing such a system at all. Why is this happening? The answer lies in an interesting example from Lance Zikalala, managing director at nCoded Solutions. "One of our clients uses our product as a scheduler because the supply chain guy was told to make the ERP system work with the manufacturing operations or face dismissal. This was because the business had been told that the ERP system could do those tasks as well. But this wasn't the case, so the client uses our APS solution for production scheduling and then pumps the results into the ERP, so that the finance guys think that it works. He then pays us monthly so it can come out of his budget and doesn't appear as a capital expenditure." What's wrong with this picture? The people at the top are now convinced they have solved a problem, whereas in reality, the cracks in the wall are simply being covered. This happened because there wasn't a proper conversation about the issues and solutions. Instead of involving everyone, typically, the problem is dealt with at the CFO's desk. They note inefficiencies and attempt to address them through a platform they are familiar with: the ERP. They likely reach out to the ERP provider, an industry that has been trying to shoehorn advanced scheduling into their platforms. The CFO takes this in good faith, proposing their opinion to the CEO. Eventually, the CIO is drawn in, because technology is their mandate. The decision is made and the solution implemented. But, did anyone ever speak to operations? This may seem obvious since operations form the coalface of manufacturing. But often ops is only told what to do, not consulted. The result is inevitable failure of the new technologies. "Every so often we are approached by a company looking to improve its operations through technology," says Zikalala. "I'd then ask them a simple question: how literate are your guys on the floor? It's a simple question, but overlooked because we think technology can fill the gap. But technology can't stop the effect of 'garbage in, garbage out'. If you want scheduling systems to work well, you must address the structural problems in the organisation." The situation can vary based on the size of the company. Large manufacturers tend to be more mature because they have learned this lesson: listen to your operations people, don't just tell them what to do. But this is less the case once you observe smaller manufacturers. Two factors reinforce the situation: financial people tend to be more senior and educated than operational managers, who typically rose with the business. Secondly, scheduling is often delegated to someone competent, but not necessarily experienced and business mature. This invariably leaves them to take orders, not help divine strategy. Yet, when you say it, it's obvious: if you want to optimise operations, you need to follow the guidance of operations people, more so than the promises of vendors or musings of consultants. Not doing so is a structural failure of the company's culture. Unfortunately, this is not something that can be resolved overnight, Zikala explains: "Changing that structure takes time, education and skills. A company must realise that manufacturing optimisation is an operational challenge, then ensure the operations people have the maturity, confidence and experience to give the right feedback. This shouldn't be a finance or technology decision. But companies ignore that: they pay handsomely for an APS bolt-on for their ERP, which they were told will work. Then it doesn't. Why? Because technology doesn't solve anything. People do. If you don't involve the right people in your strategic decisions, you get technology white elephants." Industry 4.0 is within reach of even the smallest manufacturers. But the technology is the last step in that journey. The first is to understand the business through an audit and know where to invest to improve it. In manufacturing, a lot of that involves operations. So don't sideline the ops guys. Make sure your company structure allows you to start with them.